ISO, also known as International Organization for Standards, is the largest developer of international standards. They give up to date product specifications, services, and practices. They set the standards for everything from food to plastics. The standards are set through the work of experts from around the global in order to maintain development in their sectors. The ability to consistently provide products that meet customer and application and regulation requirements. Enhanced customer satisfaction through effect system applications, including continuous improvement and assurances to customer provided standards. Another standard to look for is a company that understand ASTM, American Society for Testing Materials standards. This is the company where all materials are screened and testing to produce product properties and specifications. ASTM standards produces results specifying; testing, & assessing physical, mechanical, and chemical properties on a wide variety of materials. This company will measure tensile strength, aging characteristics, moisture absorption, flame tolerances, melting point, pressure ratings, and more. They will give numerical data on what the material can and cannot handle. 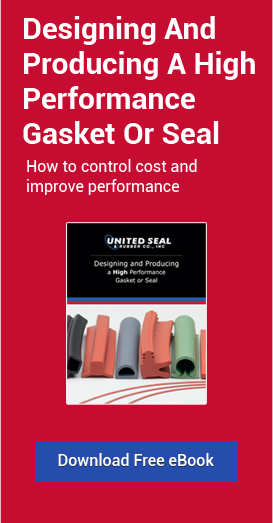 Another, but just as important thing to look for in selecting an industrial gasket manufacturer are testimonies of past experiences. I’m not trying to say that just because a company does not have any testimonials they're not capable of producting quality products. However, testimonies are a good reassurance about the company. Testimonies give a prior customer’s perspective and overall performance of a company. Having good reviews and ratings gives a strong leg to stand on for any company looking to grow and support their customer's needs. Testimonies can be a great starting point in seeing if the company is worth your time vs. wasting your precious time on a company that doesn’t exceed customer standards.